For seventy-five days starting from May 2, China unilaterally deployed its US$1 billion oil rig HYSY-981 to drill in waters lying within Vietnam’s exclusive economic zone (EEZ). The platform was originally scheduled to stay until August 15, but on July 15, China announced that the rig had completed its work and would be relocated to Hainan Island. The removal of the drilling rig is as unilateral and unexpected as its deployment. When the platform was parked in the contested area, it sparked the worst crisis since 1988 in Sino-Vietnamese relations. As with other crises of its kind, this standoff was also a battle of wills. If power is a key to winning international conflict, resolve is equally important. The party with more resolve may win even if it is the less powerful party. With their respective sovereignties at stake, the two states tested each other’s resolve to see who would blink first. Against this background, China’s withdrawal of the oil rig a month before schedule did not serve to show its resolve. So, did China blink? A deep dive into this question will not only shed light on China’s resolve, but also explore valuable lessons for how to cope with Beijing’s aggressiveness. Out of the numerous possible explanations, let’s examine the three most plausible. The most simple, and at first glance, most compelling reason for China’s removal of the oil rig is bad weather. The day before the drilling platform’s withdrawal, the weather at its location was getting stormy, forewarning of the coming typhoon Rammasun. Classified as a “super typhoon,” Rammasun was expected to make landfall on the nearby island of Hainan in three days, on July 18. Although the Paracel southwest, where the drilling rig was parked, was forecast to be not directly on Rammasun’s path, nobody could guarantee that the severe storm would not cause damage to structures, ships and people at that place. Although the 981 is said to be able to withstand powerful typhoons, it would be too risky to keep it and the escorting vessels in the middle of the ocean during bad weather. China faced two choices. One choice was to move the rig farther south to get out of the typhoon’s path. This would have moved the rig deeper into Vietnam’s EEZ, and would have put the protective armada at a larger logistic risk while escalating the conflict with Vietnam. The other choice was to move the platform closer to China’s shore and out of the waters claimed by Vietnam. This would have allowed the rig to be anchored at a shallower place, while not requiring a large number of vessels to protect it from the Vietnamese. China chose the second option, which was less risky, and announced that the rig had completed its work. This announcement was also the better choice for China. Declaring a temporary withdrawal of the drilling platform would have necessitated an immediate return after the storm. This return would have been challenged by a large flotilla of Vietnamese vessels, and China would have risked losing face by not being able to install the rig at its previous site. The “bad weather” explanation, however, makes at least one related event puzzling. On July 15, the same day as the oil rig started to move back, China released all the thirteen Vietnamese fishermen it arrested during the oil rig crisis. Was this the result of a quiet bargain with Vietnam or a realization by China that the crisis had reached its limits? We do not know whether or not a secret deal was struck, but what we do know might indicate a tacit bargain took place. While Chinese and Vietnamese ships played cat and mouse near the controversial oil rig, Hanoi’s leaders sought to negotiate with Beijing, which replied with four preconditions for talks. The first was that Vietnam must stop harassing China’s oil rig and vessels. Second, Vietnam must not dispute China’s ownership of the Paracel Islands. The third condition was that Vietnam must not pursue legal proceedings against China’s claims and actions in the South China Sea. And finally, Vietnam must not involve third parties, particularly the United States and the West, in this bilateral issue. The first two conditions were politically impossible for any government in Hanoi to meet. But Hanoi made two decisions that signaled its bow to the other two. Despite a large campaign in the state-owned media and strong calls from several corners for taking Beijing to court, Vietnam’s collective leadership decided not to file legal actions against China. They also postponed a trip by Foreign Minister Pham Binh Minh to the United States, which was initially approved and scheduled for June after Minh’s May 21 phone call with his U.S. counterpart John Kerry. China’s removal of the drilling rig and its release of the Vietnamese fishermen can be interpreted as a reciprocal act of deescalation. Barring a secret deal where Hanoi might commit to more substantial concessions, the tacit bargain suggested above is noteworthy for its symmetrical nature and the fragility of its mutual concessions. Like China’s acts of deescalation, Vietnam’s are both reversible and cheap. Instead of sending Foreign Minister Minh, Vietnam dispatched Hanoi City Communist Party boss Pham Quang Nghi to the United States on a trip that started only a few days after the oil rig’s removal, on July 20. As a member of the Politburo, Nghi is politically more senior than Minh, who does not sit on this highest echelon of Vietnamese politics. What’s more, Nghi is known to be close to Communist Party chief Nguyen Phu Trong, who is the highest-ranking official in the country. Nghi’s visit would bring back some firsthand sensing for Trong to shape Minh’s trip, which is now rescheduled for September. The legal actions against China were something that Hanoi would have had to postpone anyway even without Chinese pressure. While Prime Minister Nguyen Tan Dung went ahead with his plan of preparing for suing China in court, most other key members of the Politburo were unsure whether this would be the best option. Fear of Chinese retaliation combined with chances of an unfavorable verdict and the fact that no rulings can be enforced without China’s consent dominated their calculation. Was Hanoi’s deference the key to Beijing’s deescalation? The fragility and inexpensiveness of these concessions suggest that compromise makes up only a small portion of the recipe, if any portion at all. What really caused China to climb down the ladder of conflict is the fact that several actors, including Vietnam and the United States, have significantly raised the ceiling for what is permissible in dealing with China. Beijing’s action may look like a tacit bargain, but its real nature is something different. China’s behavior makes the most sense if seen in light of its salami-slicing tactic. This is Beijing’s signature method for materializing its territorial claims and changing the status quo in the South China Sea and the East China Sea. The crux of this salami-slicing tactic is to strike a delicate balance between assertiveness and restraint so that your actions are enough to change facts on the ground but not enough to create a good reason for others to turn decisively against you. There are plenty of reasons to think that this delicate balance has reached its limits and Typhoon Rammasun has given China a good excuse to defuse tensions without losing face. The deployment of the HYSY-981 into the Vietnamese EEZ has caused the biggest international crisis in Southeast Asia since the end of the Cold War. With China bullying its smaller neighbor so aggressively and for so long, the world’s perception of China has changed for the worse. We’ve seen members of the Vietnamese National Assembly calling China an adversary, which had been impossible just before the oil-rig incident. Vietnam also revived memories about its war with China, which was a taboo in the last two decades. In mid-July, Hanoi commemorated, for the first time ever, the previously ignored armed clashes at Vi Xuyen on the Sino-Vietnamese border during 1984-1988, with stories about the bloody war featured prominently in Vietnamese media, and President Truong Tan Sang publicly praised the patriotism and heroism of those who fought on the Vietnamese side. All these things are unprecedented and, together with the threat of a de facto alliance with the United States, they indicate a huge change in Hanoi’s approach to Beijing. In the United States on July 10, the Senate unanimously passed a resolution (S.Res.412) that condemns China’s coercive actions and urges it to withdraw the drilling rig and associated maritime forces. The resolution also “sets forth U.S. policy regarding supporting allies and partners in the Asia-Pacific region and opposing claims that impinge on the rights, freedoms, and lawful use of the sea.” Several influential U.S. policy makers and scholars began to call for a tougher approach to China. 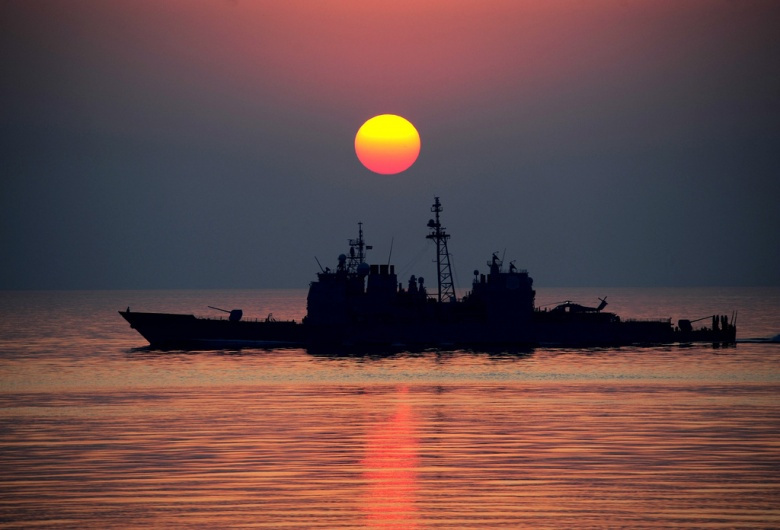 One example is an op-ed entitled “China’s territorial advances must be kept in check by the United States” by Michèle Flournoy and Ely Ratner in the Washington Post. Another example is chairman of the House’s intelligence committee Mike Rogers’ remarks that the United States must respond more aggressively to China’s territorial claims and must empower allies and partners to be more aggressive. Overall, the general trend is that China’s unilateral drilling in the Vietnamese EEZ has added more impetus for several states, including Japan, the Philippines, Australia, India and Vietnam, to readjust their military postures and foreign-policy alignments to more effectively counter China’s aggressiveness. Seeing this trend and the related change in perception, China must undoubtedly sense that its aggressive action has inflicted sufficient costs to its own strategy and reputation. For years, China’s rivals, such as Vietnam and the United States, have adopted a policy of restraint for fear of provoking the giant dragon. They have created a glass ceiling that limits what they deem permissible in dealing with the rising power. China, for its part, has adroitly exploited this fear with its salami-slicing tactic. Salami slicing works as long as the other side lacks the resolve to break free of their self-censorship, which is kept in place by their fear of escalation. The success of salami slicing is predicated upon one trick: if you can render your opponent’s restraint one-sided, you can win without fighting. In light of this, the countertrick is obvious: you must show your opponent that restraint cannot be one-sided. China’s oil-rig move was the culmination of a long process of salami slicing. But it also provided an opportunity for its rivals to break the glass ceiling that limited their actions. The outcome of this crisis suggests that China is not much different from other actors—it also has its own fear of escalation. Dr. Alexander L. Vuving is an associate professor at the Asia-Pacific Center for Security Studies, Honolulu. The views expressed in this article are his own and do not reflect those of his employer.